Examining how real estate transformed communities offered a fascinating intellectual challenge for Dan Ping. She brought that passion to Wharton, now with the goal of developing better, more stable communities in which affordable housing can be a part of the overall real estate fabric. 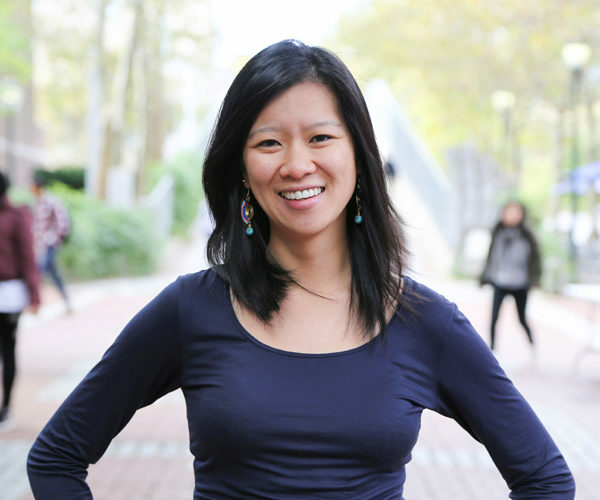 “I chose to pursue an MBA at Wharton because I wanted to round out my liberal arts critical thinking with data-driven and quantitative analytical skills,” she said. Recently, through the Zell/Lurie Real Estate Center career fair, she landed a summer internship at Pennrose Properties to help the company submit a Federal Home Loan Bank Application. In the second week, she saw her nontraditional background work hand in hand with her budding finance skills. 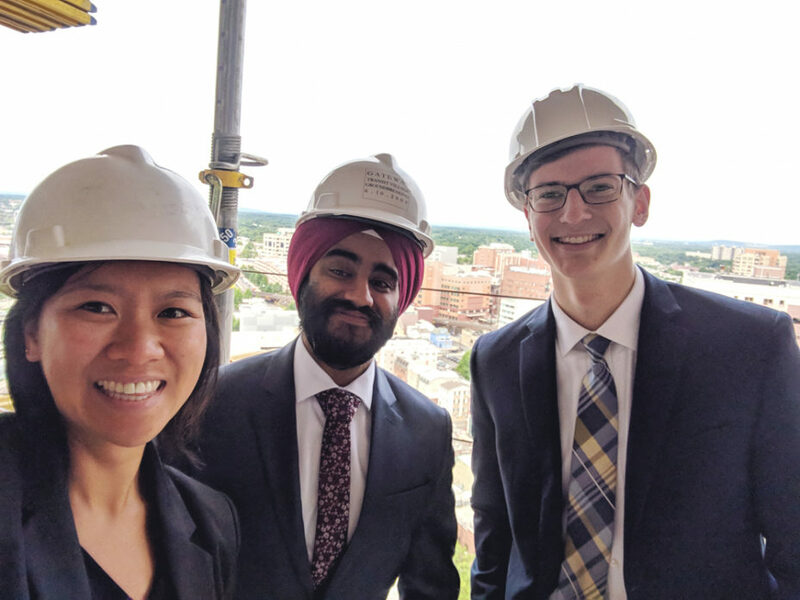 Dan Ping (left) on a property tour at a construction site during her internship. Post-college, Dan Ping led nonprofit and government community development projects, supporting her hometown residents in financial counseling, neighborhood waterfront resiliency initiatives, and their paid sick leave rights. Her desire to make in impact in affordable housing grew over time, not only through collaborating with affordable housing developers as a professional, but also because she had experienced the benefits of stable, low-income housing herself. She’s currently in “sponge mode,” trying to absorb as much as she can. Her favorite class so far has been Real Estate Investments with Assistant Prof. Benjamin Keys, which was as formative as it was illuminating. On the more qualitative side, she’s taken urban planning courses at the Design School, including Progressive Development with Prof. John D. Landis. Someday, she’d like to tap into Wharton’s global network and explore international social housing. As a first-generation college and graduate student, Dan Ping is keenly aware of how simple foundations can impact individuals and greater communities. For eight years, she volunteered and assisted with managing New York’s Chinatown Youth Initiatives. At Wharton, she’s a Diversity Admissions Fellow and a member of Return on Equality, the school’s student initiative for diversity and inclusion. 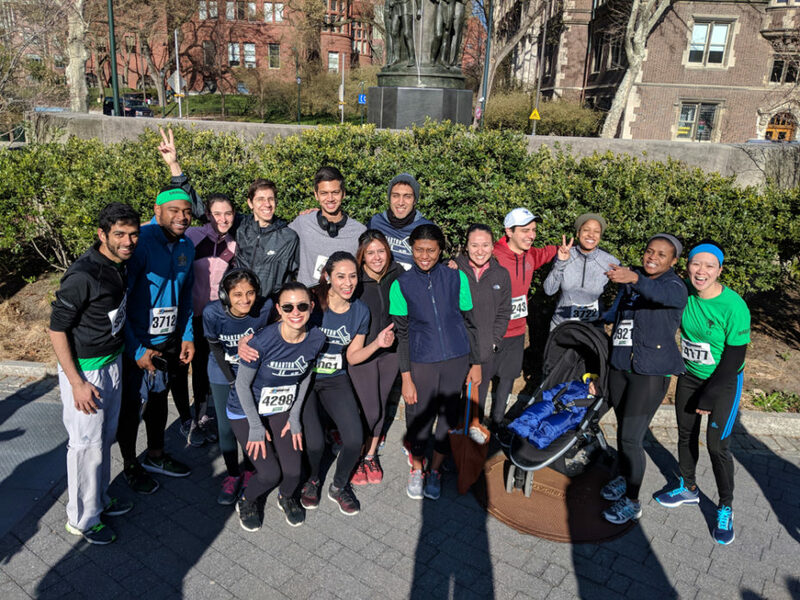 Dan Ping (far right) gathered Cluster 2 MBAs for a run at the annual Wharton 5K. Building and sustaining real estate projects will always require capital, but Dan Ping knows gaining new perspectives will help her find the middle ground. Classmates often ask me if an MBA degree is the complete opposite of a liberal arts degree — they’re very similar! My time at Wharton has required me to use my interdisciplinary analysis skills and has also enhanced them. I started school with a specific interest in affordable housing development; after meeting many classmates and alumni passionate about other asset classes (office, retail, industrial, and hotels), I now appreciate real estate as an ecological system. I work with Prof. Asuka Nakahara on real estate technology and its potential for disruption. One day I’m in Central Bank Policy Decisions class wondering why I’m learning about interest rates and quantitative easing; the next day I’m in an International Real Estate Investments in Emerging Markets class utilizing concepts from my Central Bank class and feeling passionate about international real estate development. Every step along the way, I’ve had classmates and professors support or challenge beliefs I’ve held since before business school because of my non-traditional background. Whether its chatting with my boss about modernist architects or having a classmate explain his passion for private equity at-length, my MBA learning experience has been a natural extension of my liberal arts training.